An examination of large-scale software development in the context of a distributed, multi-university open source software project organized by the Undergraduate Capstone Open Source Projects (UCOSP) initiative (see http://ucosp.ca for details). Students will receive practical hands-on experience in working in software development, as well as valuable soft skills and team experience. Antirequisite(s): Computer Science 4438A/B/Y if taken during the 2012-2013 academic year. Prerequisite(s): Computer Science 3307A/B/Y or permission of the Department. Extra Information: 3 lecture hours. Note: Students must notify the Department of their interest in registration in the course prior to the preceding May 1st for Computer Science 4475A or September 1st for Computer Science 4475B. Registration in the course is conditional and competitive as course costs and coordination are provided by UCOSP. A committee will adjudicate students on the basis of grades in program courses and a statement of interest submitted as part of the application process. 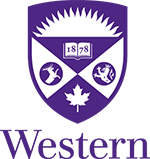 Students must be able to travel to an initial meeting at the beginning of the course; in the case that this meeting is outside of Canada, students will need valid travel documentation and must consult with the Department in advance if this is an issue. Costs related to this travel will be reimbursed by UCOSP; details will be provided prior to registration.